So if you live in the South, and you grow peonies (or try to grow peonies), you probably know that a common problem is peonies not blooming. Why are they not blooming you ask? Most likely because they are planted too deep or do not get enough sun. If your problem is the former (planted too deep), we are going to fix that today! Sometimes even when you plant them at the correct level they sink or get buried over time. 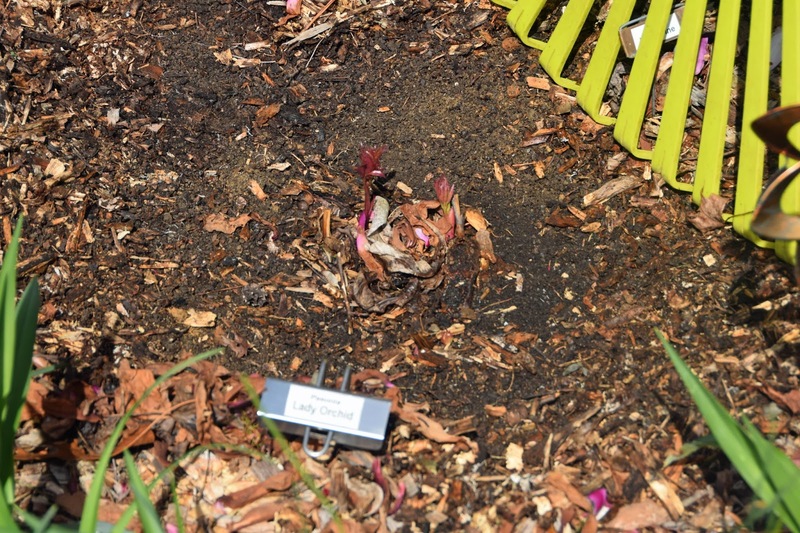 It could be that layers of mulch have gotten piled on over the years, creating a peony that is much too far below ground. 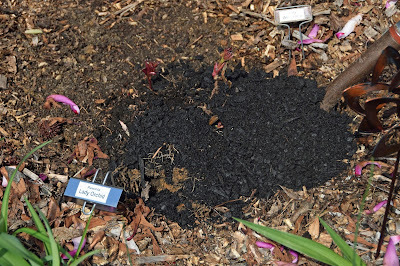 It could be that there's something going on underground underneath where you peony is planted - animal holes, rotting plant material, or even fire ants! - that have caused the ground to sink underneath your peony. So how can you fix it, and get that peony blooming again? The first thing you want to do is to remove the mulch from around your sunken peony. 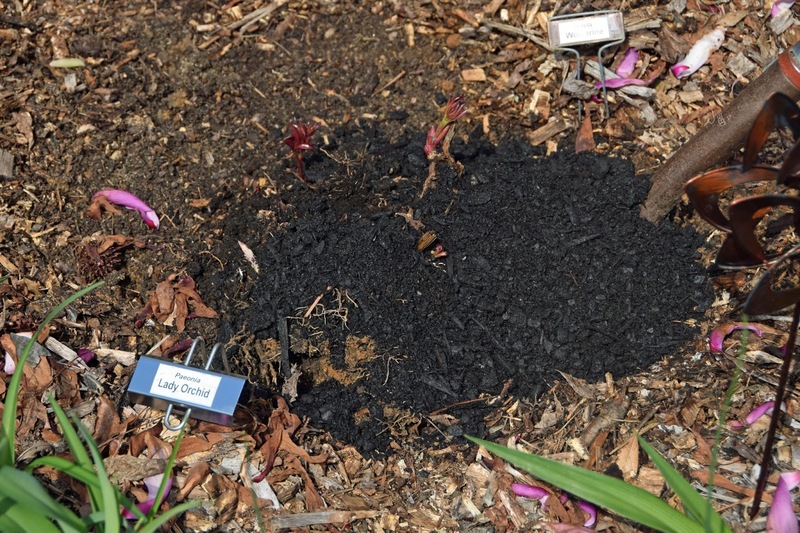 If the problem is too much mulch, you may have quite a bit of mulch to remove. 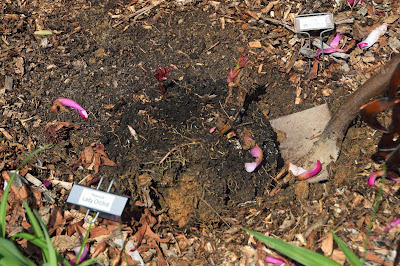 Pull the mulch out in a wide circle around the peony crown to give yourself enough room to dig around your peony without severing any roots (if possible). 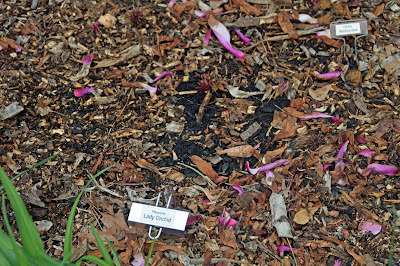 The bigger/more eyes your peony is, the further away you will need to dig/rake the mulch. 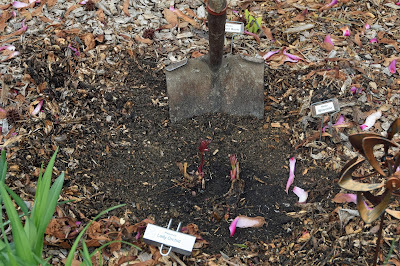 After you have removed the majority of the mulch with your rake, use you hands to remove the smaller pieces near the crown, taking care not to damage any buds or small growth on your peony. 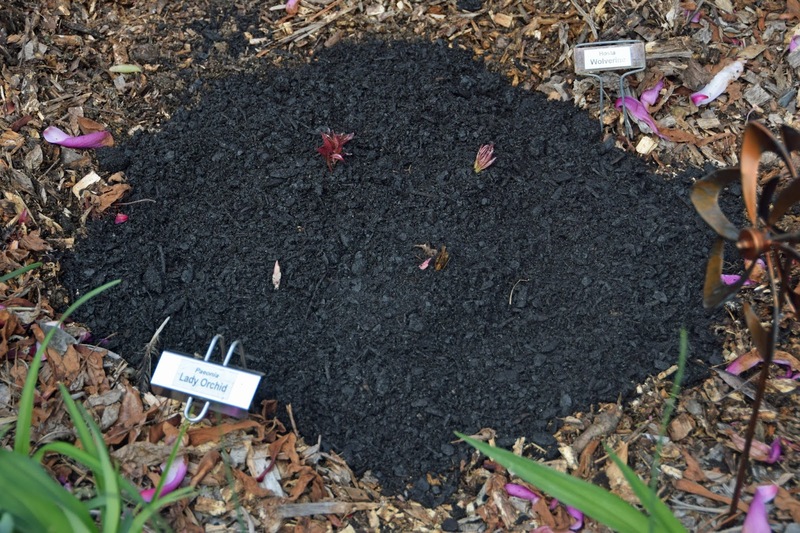 You don't want to mix the mulch into your soil since the wood will remove nitrogen from the soil as it decomposes. Mulch on top is fine (nature's way), but mulch mixed into the soil is not good. After all of the mulch is removed, you'll want to start digging. Remeber, the bigger/more eyes your peony has, the further away you will need to dig. Don't worry if you sever a storage root or two here or there, your peony should still live, but the less roots you sever the better! 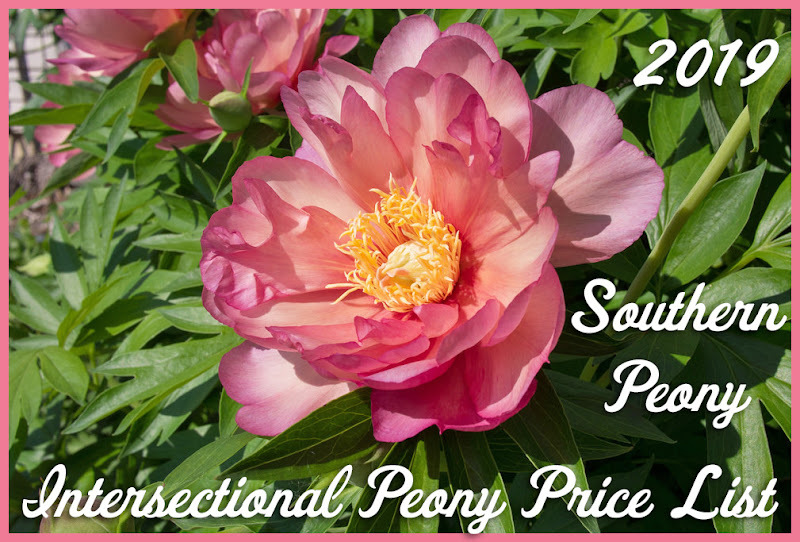 Make cuts in the soil with your shovel all around the peony in a wide circle. 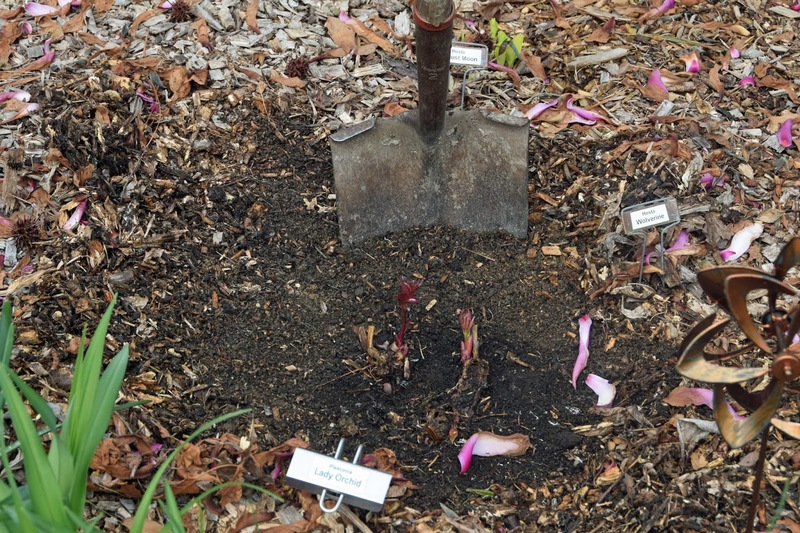 Once you have made enough cuts, you should be able to lift your peony up with your shovel. There is no need to move it or even remove it from the soil totally. You just need to lift it a little, just enough to get a bit of soil under and around it. 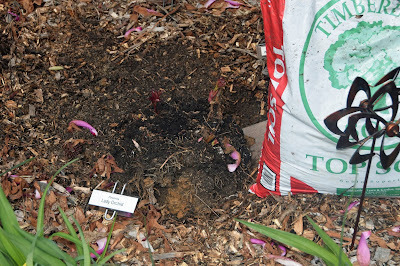 Once you have your peony rootball lifted a little, you'll want to add some soil under and around your peony. 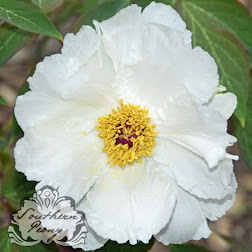 Now if you care enough about your peony to go to all the trouble of lifting it up to help it grow and bloom, put some decent soil under and around it. Don't just put some fill dirt from some other spot in your yard. At least go to the local hardware store and get a $1.50 bag of top soil. You can also get some organic compost as well if you want to spring for a little nicer soil, but plain, old top soil works fine too. Keeping the peony's rootball lifted as best you can pour a little top soil all around the crown of the peony. Use your hands to work a little of the soil underneath the peony and under the sides too. Fill it in all the way around. If your peony crown is mounded up slightly that's fine too, as it will likely settle lower again later. Plus peonies grown mounded up slightly will get better chill in the winter (needed for creating flowers). 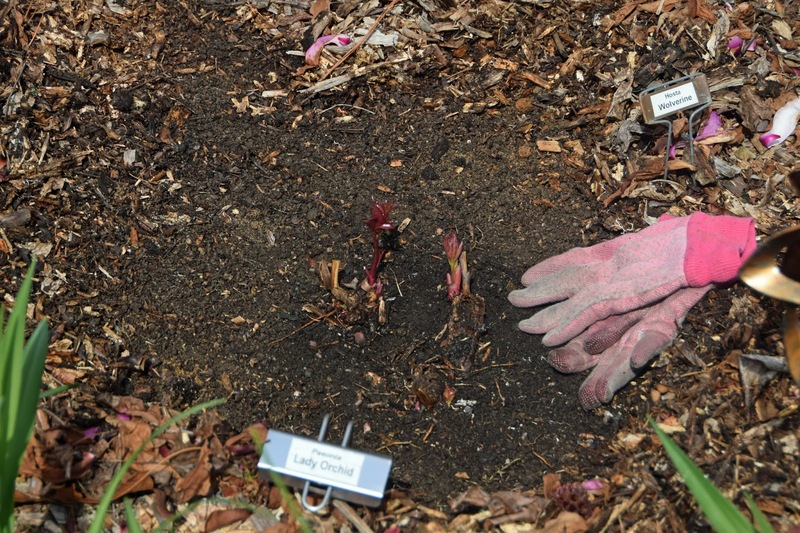 Once you have your new soil pushed under and around the lifted peony's root ball as much as possible, tamp the soil down a bit with your hands or even your feet (lightly) to make sure there are no air pockets around your newly lifted peony. 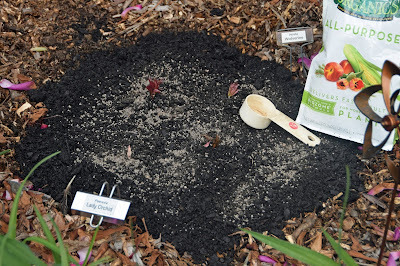 While you are working on your peony anyway, now would also be a good time to add a bit of organic fertilizer or slow release fertilizer around your peony rootball. Sprinkle the recommended amount of fertilizer (check your fertilizer bag for details) on top of the new soil and mix it in a little with your hands. 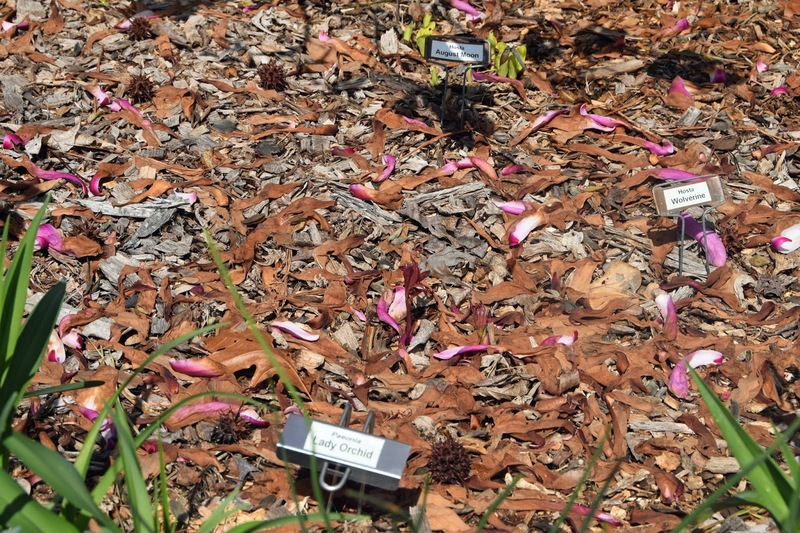 After you've finished fertilizing your peony, replace the mulch lightly. 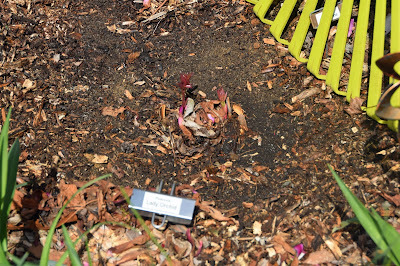 If you had too much mulch on your peony in the first place, you will not want to put all of the mulch back on the peony, just put a portion of it back. Find a new home for that remaining mulch. When applying the mulch on your peony take care to not put too much mulch directly on the crown (growing eyes/buds) of the peony. 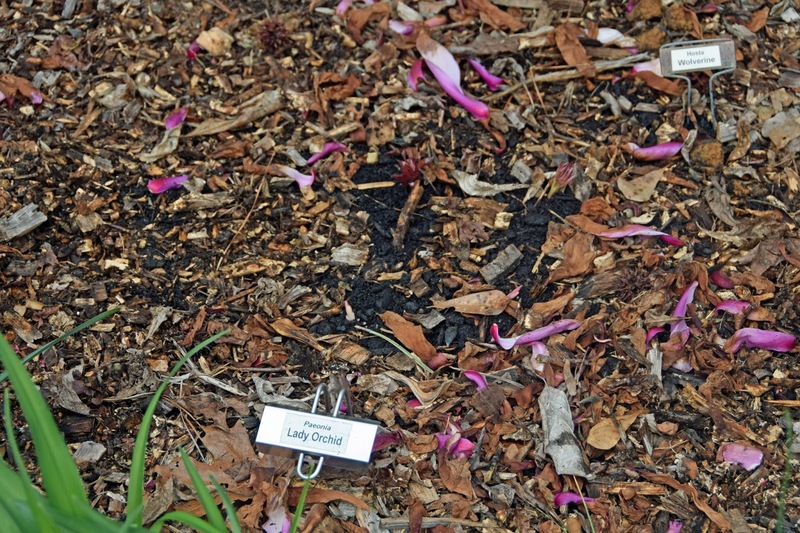 Once your mulch has been replaced, give your peony a good drink of water to help it resettle into its new surroundings. Now just sit back relax and watch that peony grow. You've just treated it to a day a the spa!